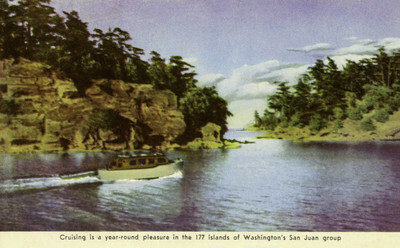 "Washington – Cruising is a year-round pleasure in the 177 islands of W"
This card is furnished for convenience fo visitors to the State of Washington by the Washington State Advertising Commission, P.O. Box 207, Olympia, Washington. Write the Commission for any information desired about the beautiful State of Washington. One color postcard with a divided back.